Last week, an article by Nathalie Lagerfeld was published in The Week that quotes our own Dr. Anne Malec as a financial therapist. 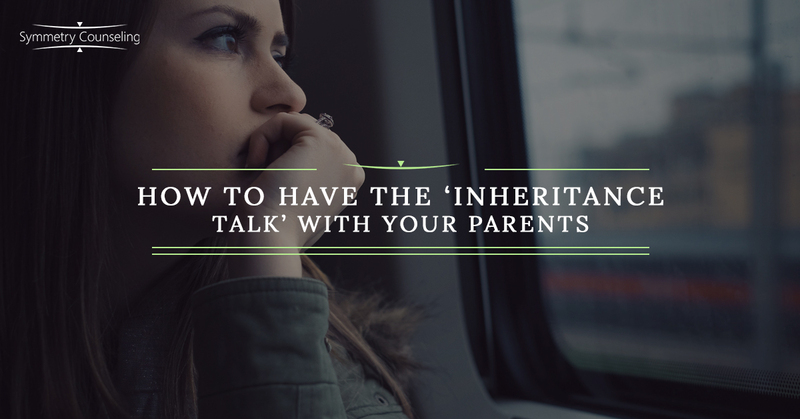 This piece focuses on giving practical advice for having the “inheritance” talk with your parents. This is a common conversation that is becoming increasingly more important for adult children to have with their parents, as Social Security gradually depletes and more and more young adults have come to depend on inheritance for their retirement income. However, expecting this money can be a major issue in the future if you don’t receive it, so it is in your best interest to address this concern now rather than later. Throughout the course of this article, Lagerfeld gives several tips for having this important conversation, which we have outlined below. In this article, the first step to having this conversation is to make sure you time it correctly. Instead of doing it around the holidays, when emotions run high, choose a time when it is otherwise quiet. Then, bring the topic up in a casual way, perhaps under the guise of financial planning in general. Don’t expect this conversation to go smoothly the first time; rather, it may take quite some time to get a picture of the situation. If you get push back from your parent, you may need to approach them later with a different strategy. Inheritance may be important for your finances, but you also need to keep in mind that your parents are impacted as well. It’s best to have this conversation more generally about their future plans. For example, it is a good idea to ask them about whether or not they have chosen a power of attorney, which opens up a conversation about whether or not they have a will. Lagerfeld consulted Dr. Malec for this portion of the article. As a financial therapist, Dr. Malec’s advice here is important to keep in mind. In the article, Dr. Malec advises that adult children are cautious about the dynamic of their relationship with their parents when having this conversation. She says, “The child goes from being a child to being an equal with their parents—the power dynamic shifts.” Keeping in mind your parents’ desires is important to show them respect throughout the process. In fact, you can likely gather your parents’ financial situation by having regular conversations about other monetary issues that will come up for them in the near future. There is a chance that your parents will respond to your inquiries with, “It’s none of your business.” If that happens, Dr. Malec advises that you let sleeping dogs lie. Money is a sensitive subject, and pushing back on your parents’ objections will only aggravate the problem. However, while you shouldn’t push them to share specifics, it is best to still make sure your parents’ money is being managed properly. People often overlook the emotional implications of finances, but money is inextricably linked to our inner selves. How we make money, how much we make, and what we do with it all influence our self-esteem. Do you need guidance about navigating the emotions associated with finances? Dr. Anne Malec is a psychologist in Chicago who can help you. Contact Symmetry Counseling for guidance!